The buttonwood is native to tropical America and Africa. It is an absolute must for tropical bonsai. Known for their hard wood, natural Jins and amazing Shari collected buttonwoods are one of the most sought after species for bonsai. Sometimes included in the mangrove family, it is not a true mangrove as it cannot tolerate salt on the roots. In the wild it is sometimes hard to tell the difference. The leaf shape is different and most buttonwood are found a little more inland while the mangrove are found usually with their roots in the water. Training for buttonwoods occurs almost all year long in south Florida with the majority of the work being done in the summer. Buttonwoods grow very quickly when the weather is warm and require constant pruning and wiring to achieve compact foliage. Once branches are established, to maintain shape, pinch out new leaf buds as they form. Remove large leaves completely or leave 1/3 of the leaf along with the petiole. To achieve full pads and leaf reduction you must constantly work the tree. Watch for scarring when using wire, wire scars occur quickly especially after a repot as the roots are stimulated and the tree wants to grow quickly. Repotting buttonwoods is recommended when the night time temperatures are in the 70’s and the trees are root bound or making a transition from nursery soil to bonsai soil. Make sure that the tree is defoliated completely to balance the stress on the tree. Gentle root work will ensure a healthy recovery as well as placing the tree in shade for two weeks keeping the soil moist. Never let a buttonwood dry out as they like to be a little on the wet side. Buttonwoods must be protected from cold temperatures. If the weather is predicted to drop below 40 degrees the trees need to be moved to a warmer location. Frost and freezing temperatures will severely damage or even kill the tree. Buttonwoods are susceptible to Chili thrips, mealy bug, scale and aphids among others. Use insecticide sprays with caution. Malathion, diazinon and oil based soaps can damage or kill Buttonwoods. Avid, Conserve and Talstar work well for the control of most pests. Nematodes are also a concern in collected trees. Look for ‘knot’ like galls in the root system upon repotting and remove them when seen. Buttonwoods may be trained into any style the tree tells you. Depending on root structure, attitude of the trunk and overall size it lends itself to many styles. One style popular among tropical bonsai artists is the literati. Also known as a very Avant garde style, the literati is considered to be the most advanced bonsai style. Having originated as far back as 206 AD with the Chinese, the term “literati” is derived from a word used to describe the intellectual elite of the society of that time. This group of people were skilled in the traditional arts of philosophy, literature, music, painting and poetry. The bonsai this culture created were tall and slender, and their abstract beauty could be compared with calligraphy. These creations exuded a complete freedom of expression. About 200 years ago, a famous Japanese artist Hiroshige painted the first Japanese version of the literati concept. The Japanese version of the literati style is known as “Bun Jin”. 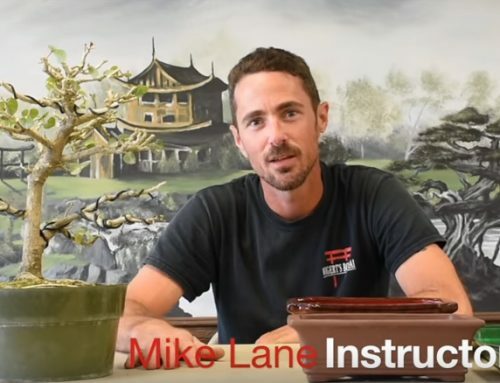 True literati bonsai can only be created once all the rules of traditional bonsai styles has been mastered. · The trunk is regarded as the single most important feature of the style. · Although the trunk is slender it must have strong rhythm and line movement. The curves are very prominent and must taper towards the apex. · Round containers are mostly used because the tree looks good from many sides. Handmade work great. · Not as much emphasis placed on the roots. · Branches are few in number and not too long. · Foliage is sparse to suggest the struggle of the tree as it is found in nature. · 2/3rds of the trunk is generally free from branches. Possible variations in the style could include formal upright literati, informal upright literati, slanting literati, extreme slanting literati, semi cascade literati, double trunk, twin trunk, triple trunk literati and pierneef literati.